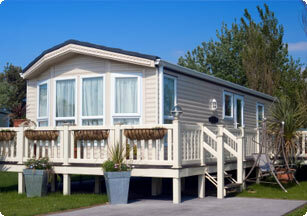 When buying static caravan insurance, make sure you know what's covered. We're always tempted to buy the cheapest insurance available, whether it's home and contents insurance or static caravan insurance. It's true that the insurance market is more competitive than ever, and insurance providers are continually offering great prices and discounts in order to attract customers – but the most important thing you need to consider is whether you're getting the right cover for the price of the policy. Peak season benefits – a static caravan insurance policy will cover loss of use should anything happen to make your caravan uninhabitable. This is obviously most important to you during the peak season, particularly if you hire out your static caravan during the summer. A good insurance policy will increase these benefits during peak season and reduce them again for the quieter months. New-for-old – the policy of replacing an old static caravan with a new one in the event of a total write-off claim is part of many static caravan insurance policies – but not all. Check with the insurance company or your insurance broker exactly what type of new-for-old cover is included. You may be able to request this cover for the life of your static caravan. Plumbing coverage – keeping your plumbing in good condition is extremely important for static caravan owners, so you'll want your static caravan insurance to cover all plumbing problems. It's possible that not all policies will give you comprehensive cover, and you don't want to find out you're not covered when your caravan has flooded or the pipes need repair. Instead, do your homework and choose a policy that gives you full coverage for plumbing problems. If you're looking for static caravan insurance quotes from insurance companies that specialise in static caravans, take a look at our Static Caravan Insurance section. With a range of financial promotions for firms who provide static caravan insurance, simply visit our advertisers websites to find out what each insurance policy covers and you are bound to find a product that suits you.